A trader has been handed a suspended prison sentence after admitting two charges relating to selling TV boxes which allow free access to premium content such as sports channels and movies. Shop owner Brian Thompson, 55, had originally denied the offences , setting up the prospect of a landmark court case relating to the sale of Kodi boxes. Last month he pleaded guilty. 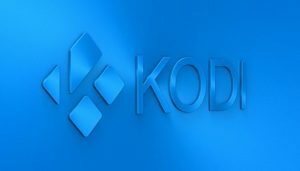 Judge Peter Armstrong told him on Friday: “If anyone was under any illusion as to whether such devices as these, fully loaded Kodi boxes, were illegal or not, they can no longer be in any such doubt. “I’ve come to the conclusion that in all the circumstances an immediate custodial sentence is not called for. He gave Thompson an 18-month prison sentence, suspended for two years. Thompson, of Barnaby Avenue, Middlesbrough, was sentenced at Teesside Crown Court for one count of selling and one count of advertising devices “designed, produced or adapted for the purpose of enabling or facilitating the circumvention of effective technological measures”. The set top boxes – known as Kodi or Android boxes – allow users to stream subscription content like Premier League football and blockbuster films free of charge. The box itself is not illegal, but the council maintained it was illegal to sell them “pre-loaded” with the capability of accessing copyrighted material. But authorities have cracked down on them – with the Premier League being granted an injunction to block streams of live games.